The flu vaccine is free to those who attend but please bring your insurance card or fill out and bring the attached insurance form so we may bill your insurance for administrative costs. This helps us to help subsidize the vaccine program. Each year in the United States, on average, 5-20% of the population gets the flu and more than 200,000 people are hospitalized from flu-related complications. 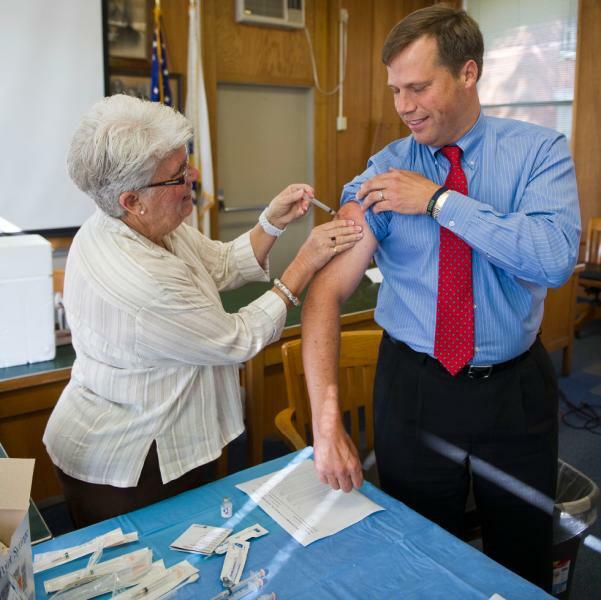 The Center for Disease Control recommends everyone 6 months and older should receive the flu vaccination. You must be 19 years old or older to receive the vaccine at this clinic. Please contact Public Health Nurse, Jennifer Meyer, RN if you have any questions.